On March 27, members of the Chenango Valley varsity boys soccer team presented Robert O'Connell, the President of the Lourdes Hospital Foundation, with a donation of $250 for the Sock Out Cancer initiative and $250 towards the Geller Oncology Fund. 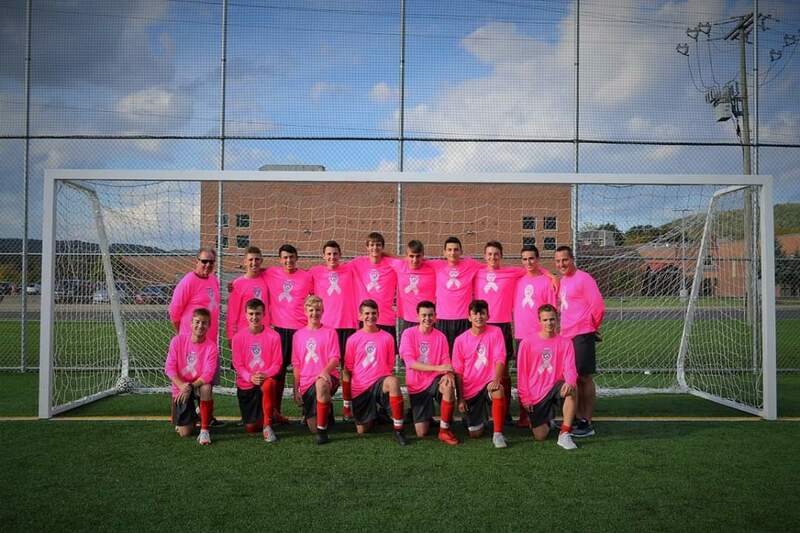 During part of their fall 2018 season, the team wore pink jerseys with the names of individuals in their lives affected by cancer. In addition, they asked their family members and Chenango Valley community members to make monetary contributions based on the number of goals scored by the team’s players. Proceeds raised were included in their donation. “We care and we’re out to help anybody in any way that we can," said Chenango Valley freshman Aidan Marroquin. The team hopes to continue this effort in the future and possibly make it even bigger.